Tomorrow is my last day of work before I take off for a little Christmas break and I am so excited for the start of a two week vacation. Everything has been such a whirlwind the last few weeks that I don't feel like I have adequately gotten myself in the holiday spirit. I am ready to spend a few days doing nothing but baking, listening to Christmas music, wrapping gifts, and wearing sparkly clothes. I am the worst when it comes to styling my hair. 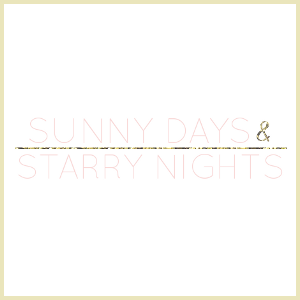 It is almost always worn down in loose waves or up in a low bun. For the holidays though I am going to try to kick it up a notch while still keeping it simple. 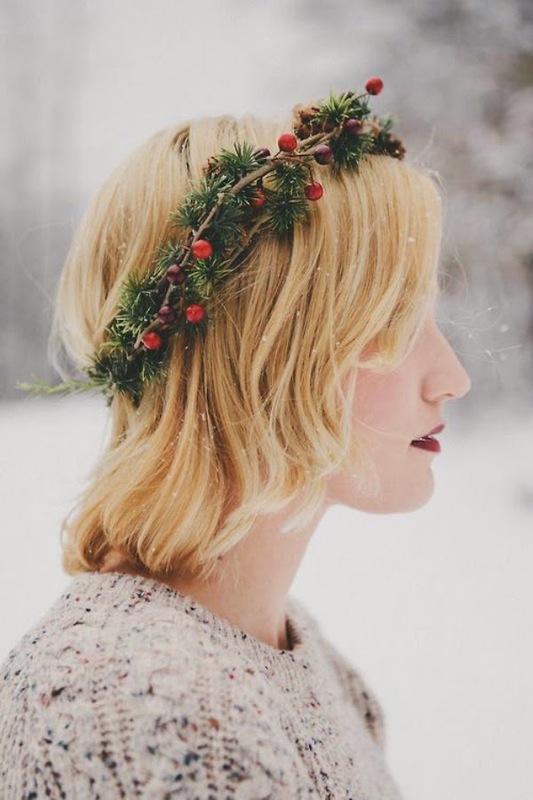 Isn't it amazing how pretty just adding an holiday inspired accessory can make a no-fuss hairstyle look? 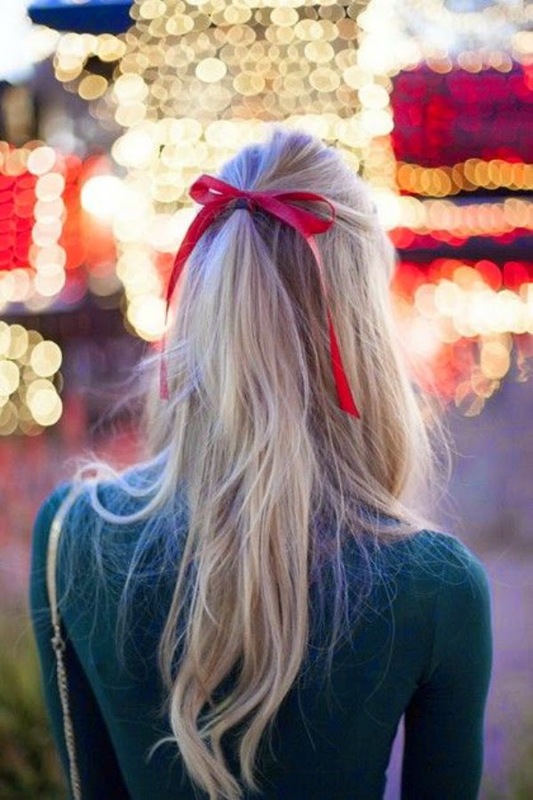 Something as simple as just adding a red ribbon looks so festive. 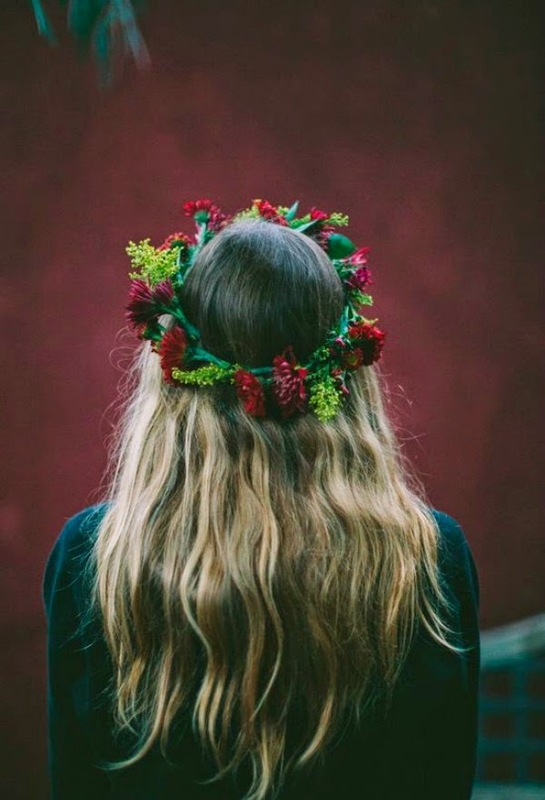 How will you be styling your hair for the holidays?